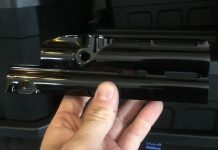 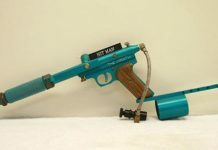 A look at the history and issues behind the Alien Revelation Paintball Marker that prevented this innovative marker from hitting the market around 2003. 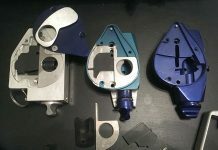 A look at three different feed block / breech styles for the Trap Door on the Alien Revelation Paintball Marker, c.2003. 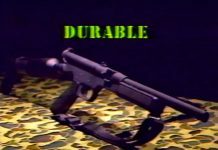 A Tippmann SMG 60 Promotional video that I purchased several years back. 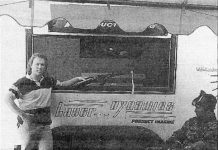 Skeeter Gordy and his Laser Dynamics trailer as pictured in the May 1996 issue of Action Pursuit Games. 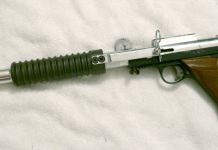 Gordy was also associated with Proline. 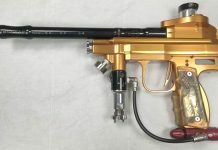 Today Tim and I visited Los Angeles Paintball Company and here is a Force Recon I purchased several years back.